Approximately one in 67 pregnancies is a multiple birth. And while twins bring double the joy forparents, a multiple birth can carry risk to the mother and babies, as twins are more likely to be born early and require additional care. Dr. Jin Chung Shih is head of the labor ward and Assistant Professor in the Department of Obstetrics and Gynecology at the National Taiwan University Hospital. As the secretary general of the Taiwanese society of ultrasound in medicine and biology, he was an early adopter of 4D ultrasound in 2002, which helps him diagnose his tiniest patients. He’s also the one who captured the incredible picture of an entangled umbilical cord while performing a C-section on the twins. Monoamniotic twins are identical twins that share the same amniotic sac within their mother’s uterus. Because the twins live in the same “room,” there’s enough fluid space to swim around and even hug each other. 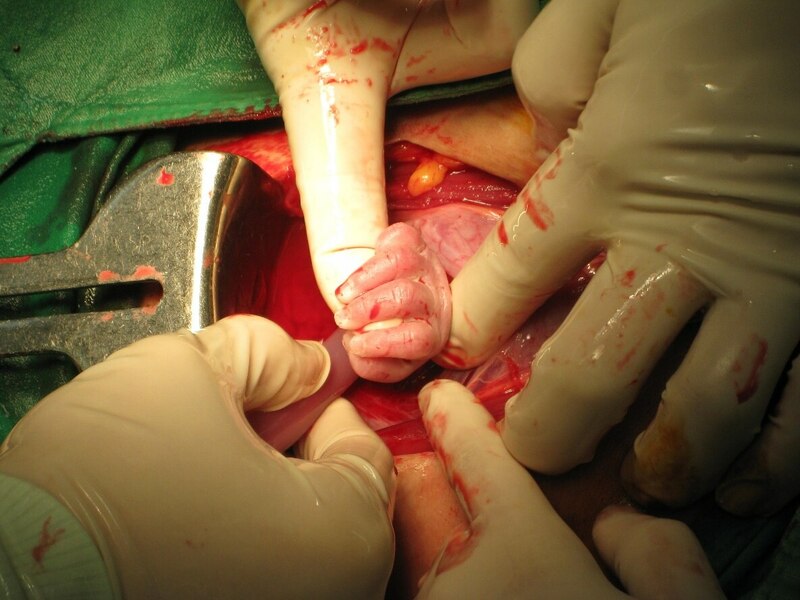 The danger is that the umbilical cord may wrap around the babies, strangling or suffocating them. This expectant mom was carrying monoamniotic twins and came to Dr. Shih because one of her twins had a complex heart issue that would require surgery after birth. 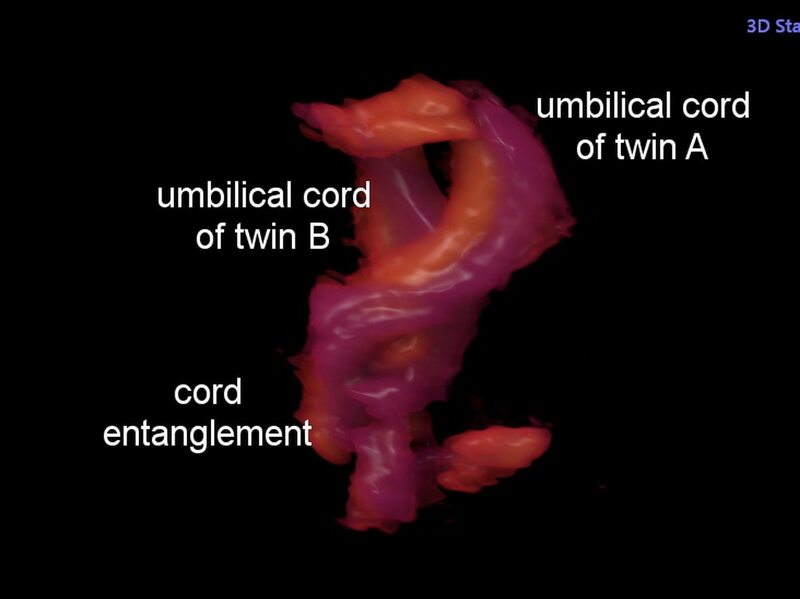 Using the Voluson E10 ultrasound system, Dr. Shih found that the twins had a cord entanglement, which typically requires an early delivery. However, the minimum weight for open heart surgery is 2.5 kilograms, and in this case, the twin was too small. 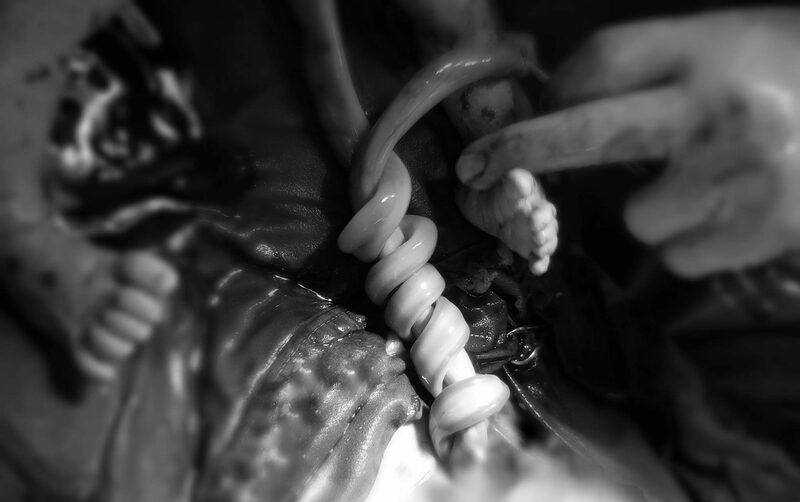 Dr. Shih continued to monitor the twins with ultrasound and found the cord entanglement was not severe (pictured to the right). The parents decided to deliver the babies closer to the due date so that the smaller baby had time to grow in strength and size. The day before the planned C-section, Dr. Shih discovered something he had never seen before: The twins’ fetal hearts were beating at the exact same pace. It lasted for several hours. The twins were delivered at 35 weeks gestation via C-section. The twin requiring open heart surgery recovered successfully. Today, the twins are two months old and are doing well. Tiny fingers grasping a doctor’s hand. An incredible photo, and an even more powerful story. In June 2016, Dr. Shih also captured this incredible image. “A moment I will never forget,” says Dr. Shih.